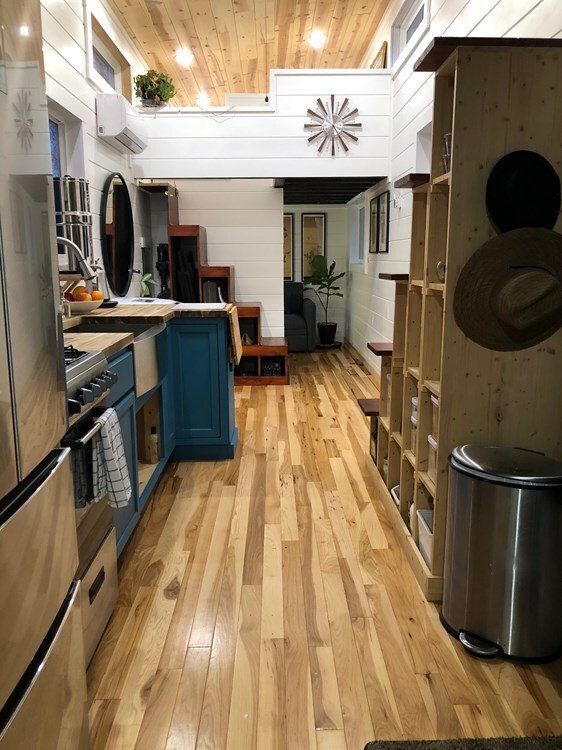 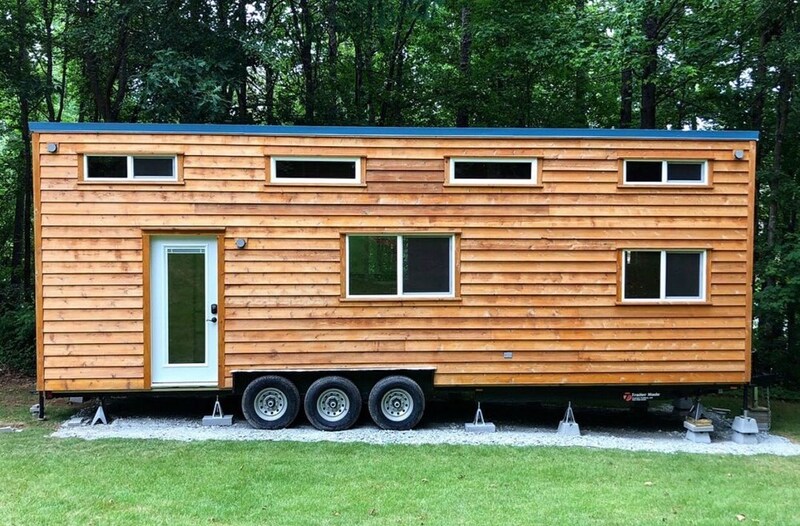 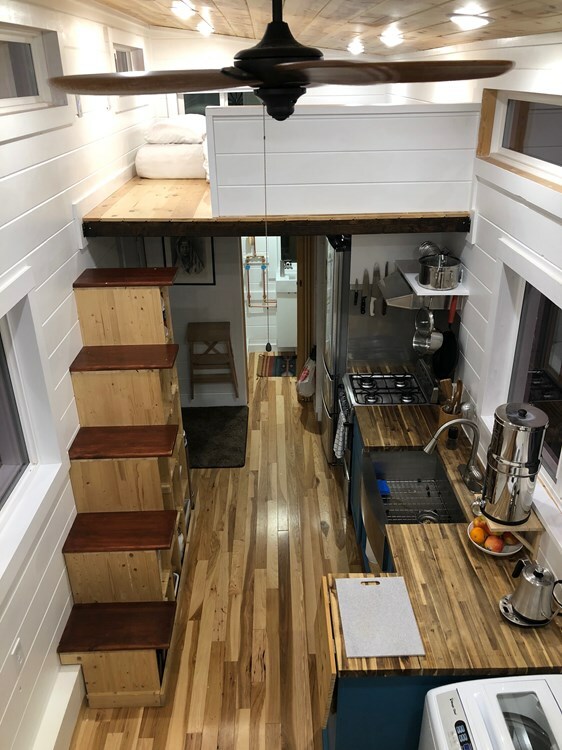 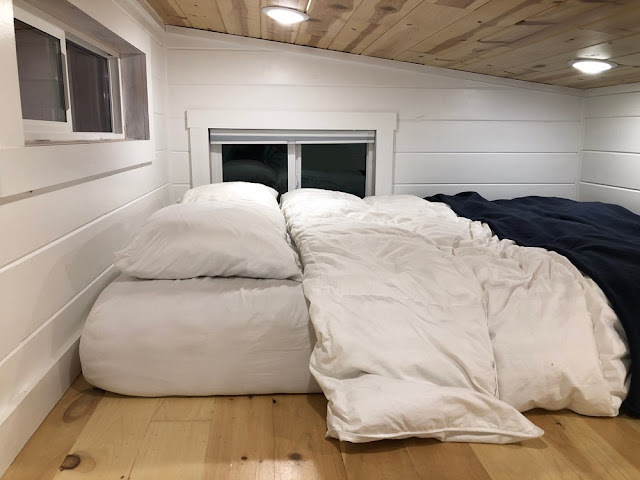 This cozy cabin-style tiny house is currently offered for sale in Georgia! 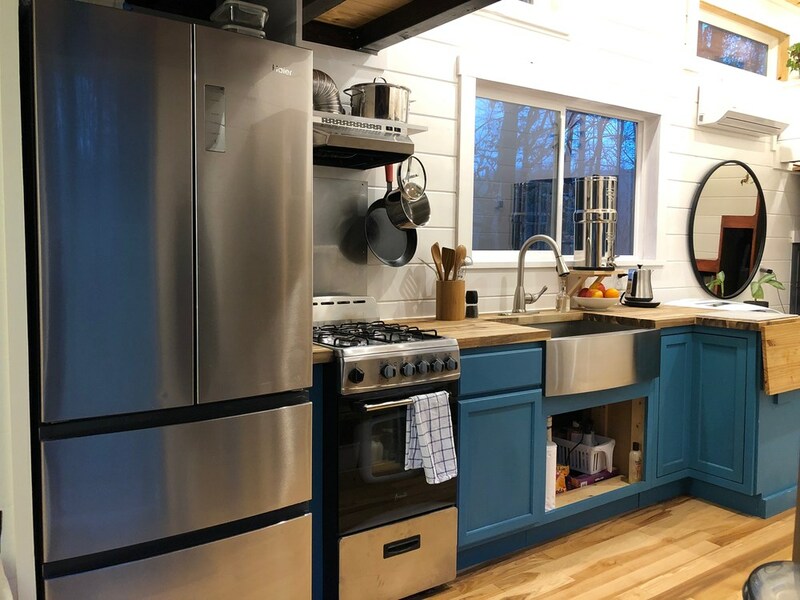 The home has undergone several upgrades with its current owners to maximize the house’s comforts. The home would be perfect for a couple or small family. 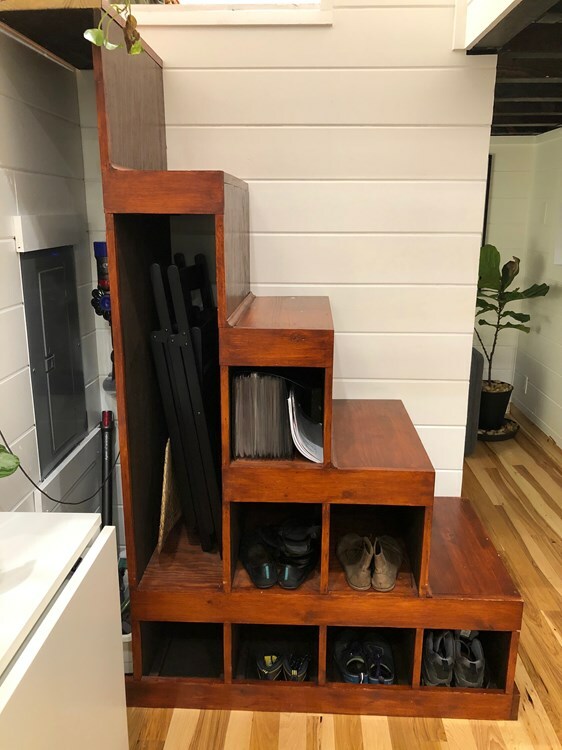 It comes with two stair-access lofts, plus a downstairs “flex room” that would be suited for a home office or third bedroom. 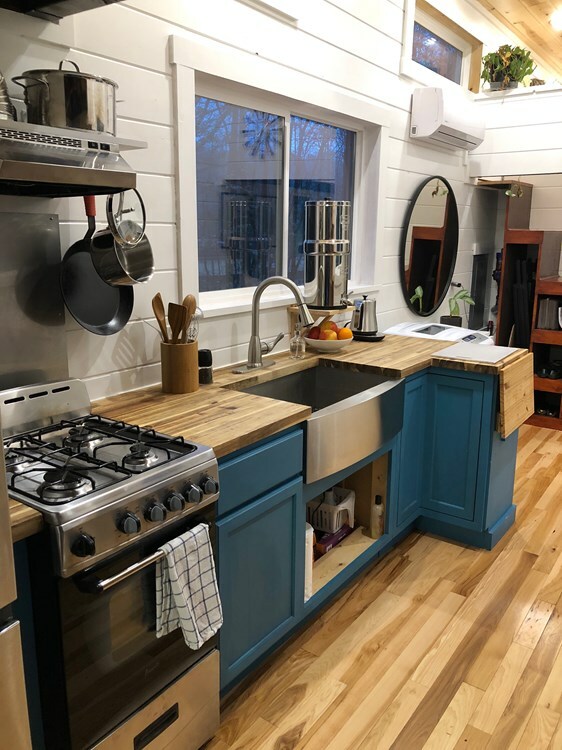 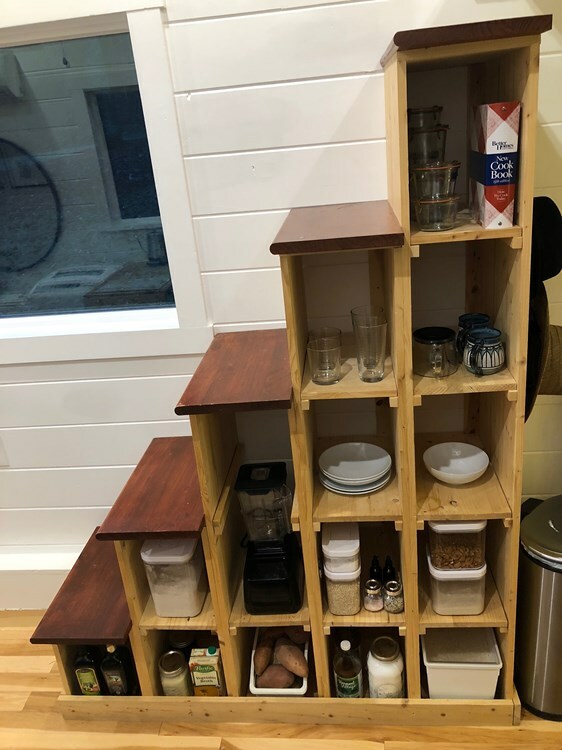 There’s also a full kitchen that comes with a full-size refrigerator, a propane stove and oven with a hooded vent, a stainless steel farmhouse sink and butcherblock countertops. 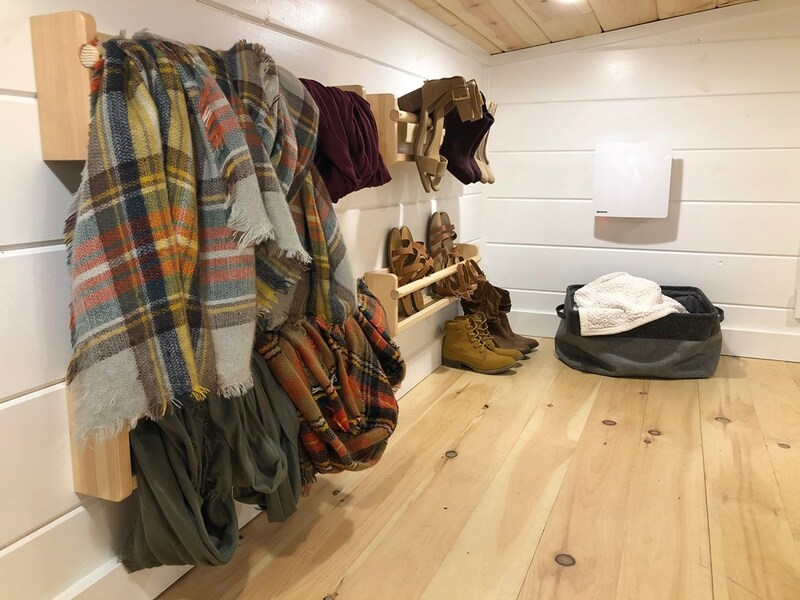 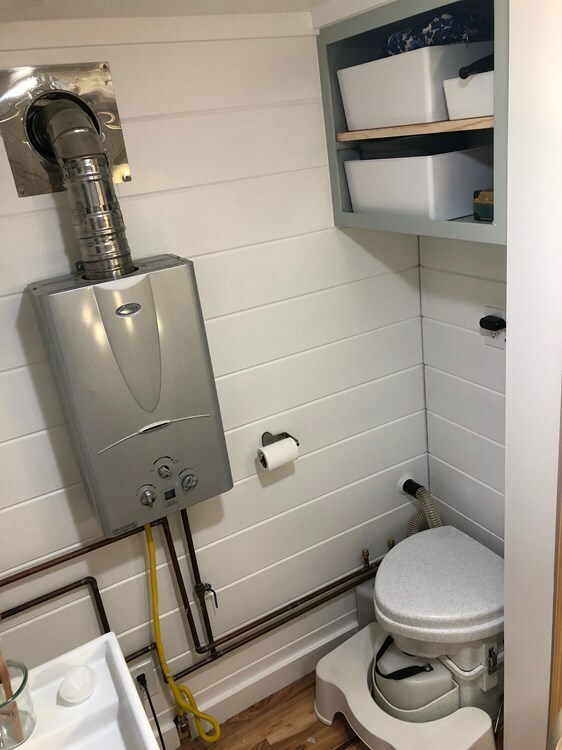 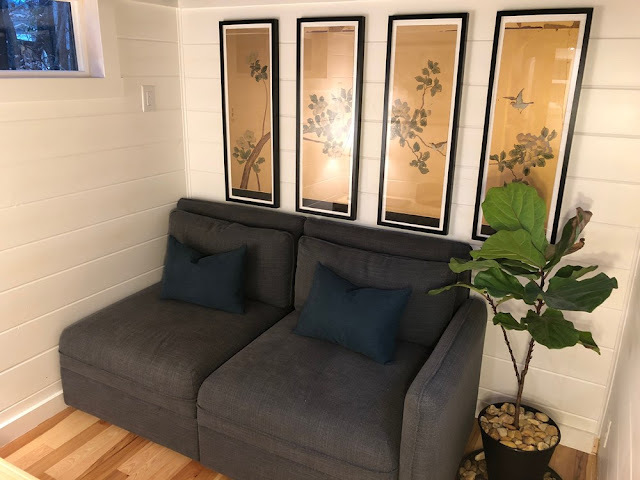 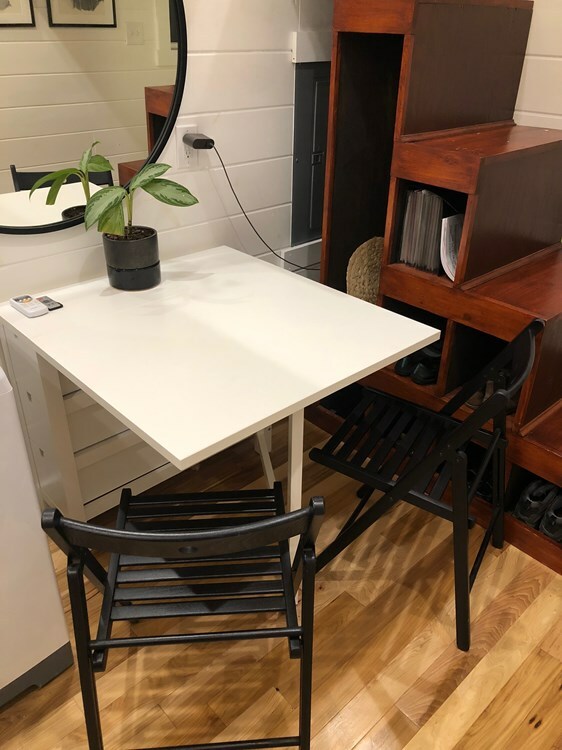 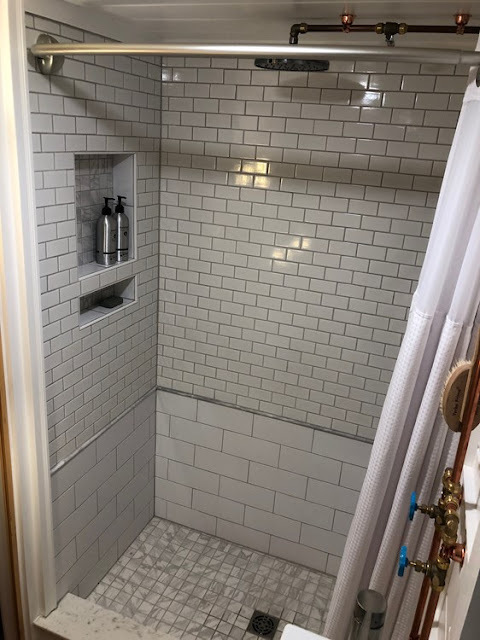 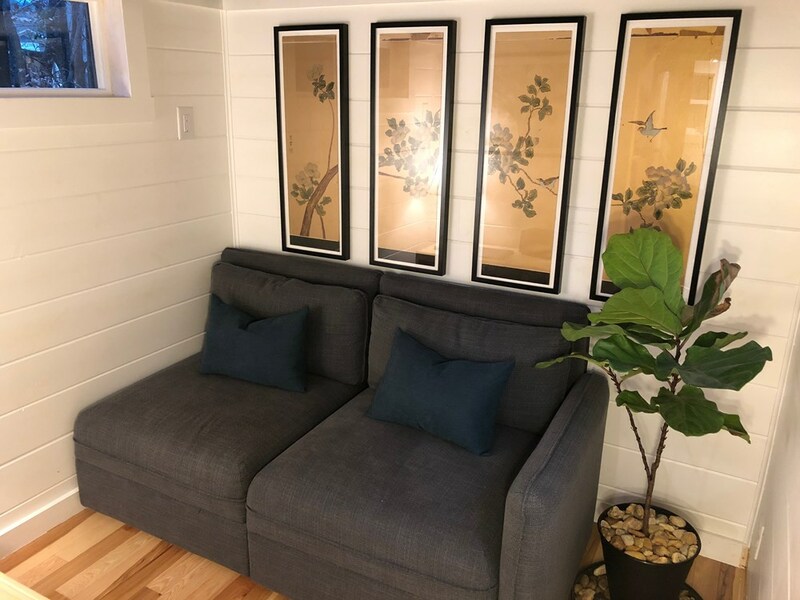 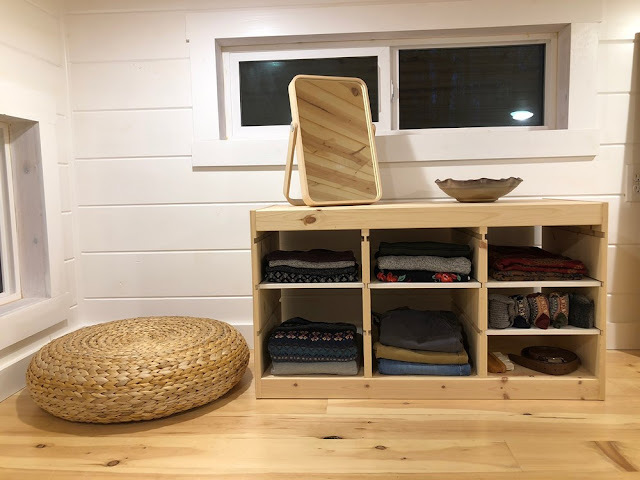 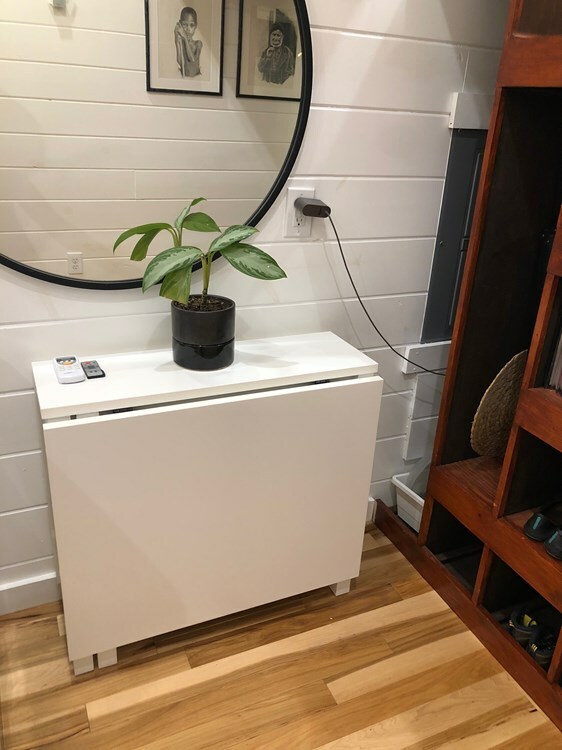 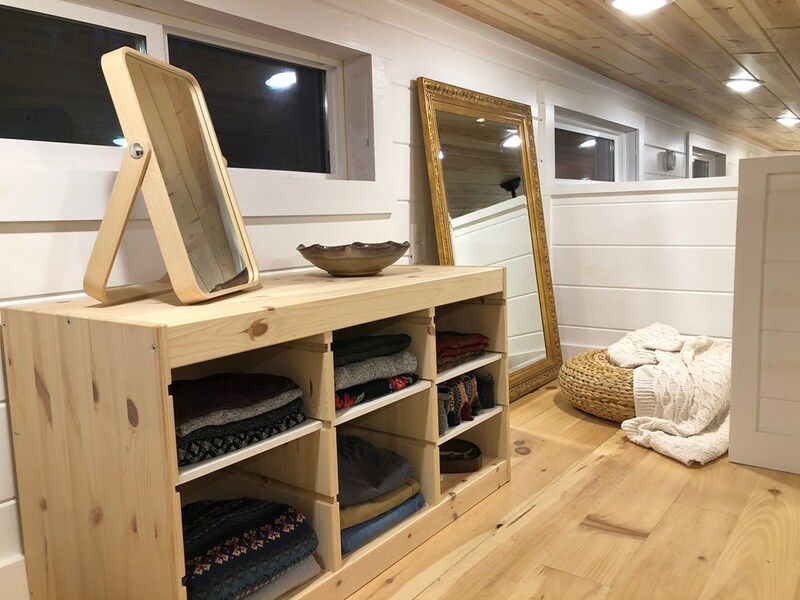 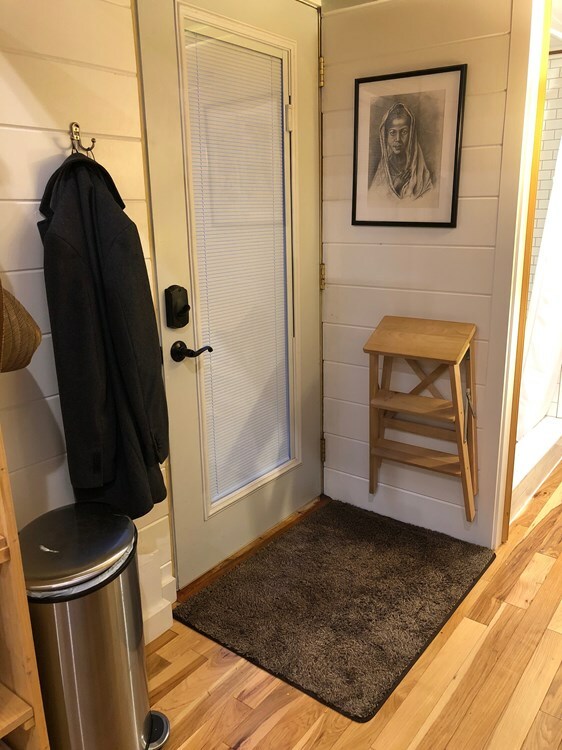 A bathroom is also available with a walk-in tiled shower, a rain shower head, a composting toilet, a sink and cabinet, and a tankless on-demand water heater.